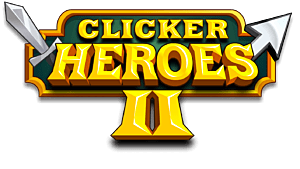 Non-Multiples of 5 – The normal standard worlds, as much as standard gets in Clicker Heroes, these contain standard enemies and clickables, with the chance of treasure chests and a boss at the end before clearing. There is no time limit and these cannot be failed. Every 5th Level – Every 5th level is a timed zone in which the zone must be cleared within the time limit or the zone is reset. The time is displayed at the top and easily viewable at any time. These follow the same layout as a normal run except for this, with clickables and a boss at the end. Every 25th Level – Every 25th level has a raid boss which must be killed. These are difficult and the fight is timed, with the more damage done rewarding more gold at the end no matter if you fail or succeed. You will keep reattempting the boss until successful. Clickables CANNOT be found on these levels. Level 99 – The final raid boss appears on this level to allow for a special level 100. Level 100 – The final level of the first worlds, this contains a world boss and then introduction to ascension.